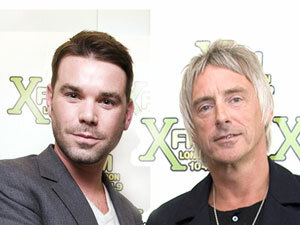 Dave Berry Meets Paul Weller! The Xfm Interview! – Paul Weller News! Dave Berry Meets Paul Weller! The Xfm Interview! Ten solo albums in, and Mr Paul Weller shows no sign of having his fire go out (to coin a phrase). And, with his latest platter ‘Wake Up The Nation’ in the shops, The Modfather came in to teach young Dave Berry a thing or two about being The Ace Face, mod roots and more. They also chatted about Paul’s favourite song from his own back catalogue and his favourite piece of rock memorabilia. Listen to the archived interview HERE! Previous Entry Early Sales Report For Paul Weller’s "Wake Up The Nation"
Next Entry Paul Weller Interview With The Quietus!